Deployment is not an easy subject to explain to children. All they know is that mom or dad will be away and may miss birthdays, holidays, soccer games, bedtime — the list goes on and on. How do we explain deployment to our little ones when they ask the big question of why? Wouldn’t it be great to have an age-appropriate answer? When CPT Matt Wilson deployed to Afghanistan in 2012, he often wondered how he would explain this experience to his infant daughter. Why did he have to deploy? How would he explain the War on Terror? And most importantly, why did he miss the first year of her life? CPT Wilson began to answer these questions in the form of bedtime stories that highlighted the themes of bravery and the importance of standing up to bullies. His stories for his daughter recently evolved into his first published book, The Brave Badria. 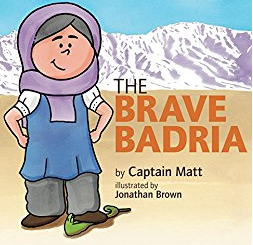 CPT Wilson’s book incorporates the mysticism of a Middle Eastern “tall tale” to engage children in cheering for the young heroine, Badria, as she resists the “snake people” who seek to control her homeland of Afghanistan. 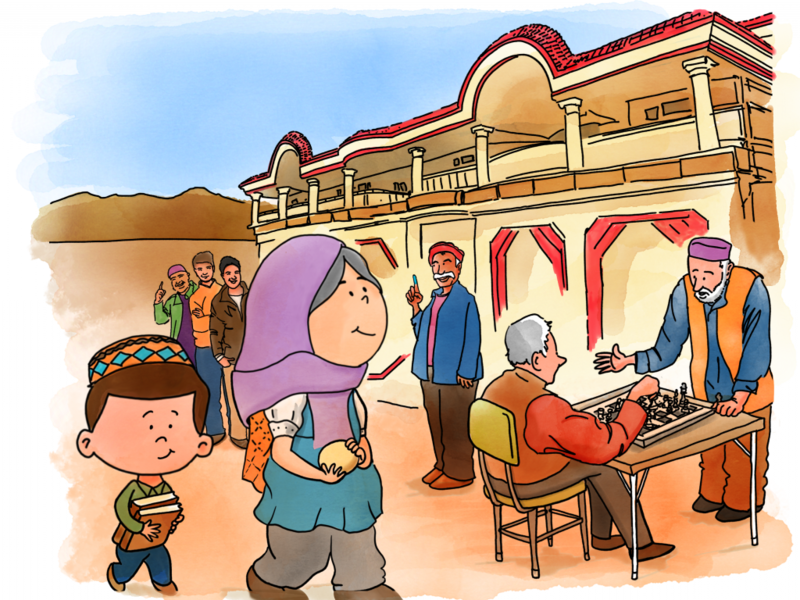 The Brave Badria was crowd-funded via a Kickstarter campaign. The project’s initial fundraising goal of $1,300 was exceeded with a final outcome of more than $3,000. The book is now available for Kindle or as a paperback on Amazon. Courtesy CPT Matt Wilson, illustration by Jonathan Brown. Aside from the five-star reviews on Amazon, I knew that the true judges of the book would be my children, ages four and six. CPT Wilson kindly sent a copy, and my boys spotted it right away, asking repeatedly if I would read it to them. Upon first glance, the book features colorful illustrations by Jonathan Brown, and my boys were drawn to the child-friendly visuals. As I read the story, I appreciated how Badria’s family relationship was close and caring, just like our own. My children were gently introduced to another culture in a respectful way, which I appreciated. I don’t want to give too much away, because I’d love for you to read it yourself. 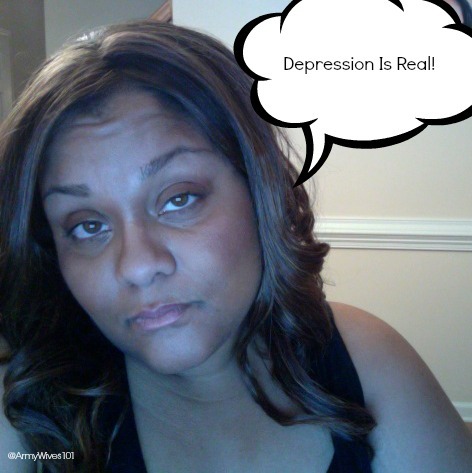 When my husband deploys this month, I’ll now have a way to explain why. 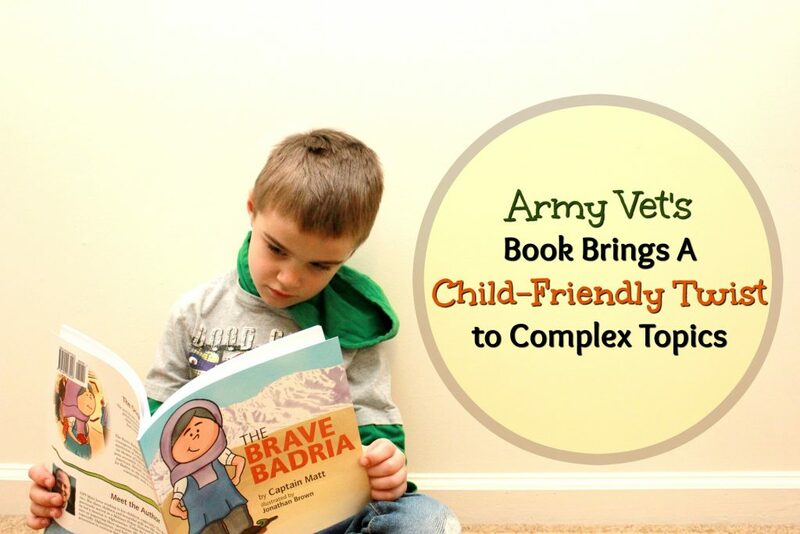 I recommend The Brave Badria to anyone who would like to introduce the topic of deployment to Afghanistan to a child. CPT Wilson with the inspiration for the book, his daughter, pictured then and now.